Arlington Forest is quiet, wooded community of more than 800 families located in Arlington, Virginia. The name stems from the abundance of parks and forested residential terrain which provide much of the charm of this established neighborhood. The housing stock includes mostly single family homes on mature, shaded lots. While Arlington Forest has a suburban vibe, it is also close to the Ballston area, providing easy access to shopping, dining, and the metro. Home to the Lubber Run amphitheater, Arlington Heights is also the scene of a number of live theater, music, dance and other performances every summer. Arlington Forest is bounded by Glencarlyn Park and the W&OD Trail on the south and west, the Carlin Springs Road and George Mason Drive on the north, and North Henderson Road and North Pershing Drive and Arlington Boulevard on the east. 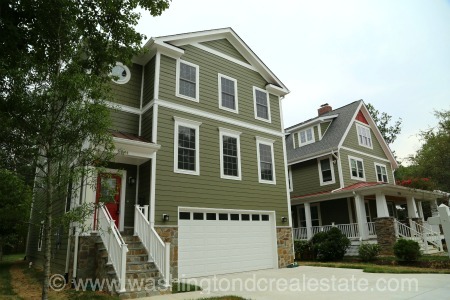 Arlington Forest is within walking distance of the Ballston Metro Station.